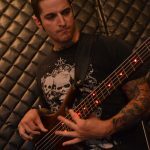 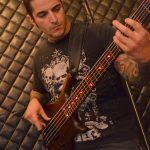 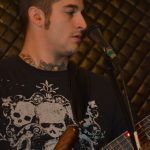 Jeff Grossman is a veteran of the Boston music scene, having played a wide range of musical styles including hard rock/metal to experimental metal fusion. 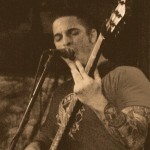 Along with Swarm of Eyes, he has performed with bands such as Crumble, Love Weapon and Executive Order. 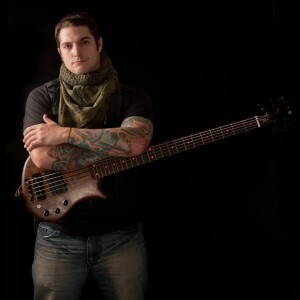 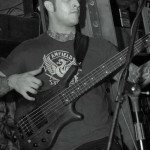 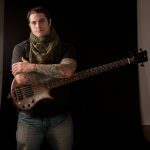 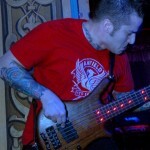 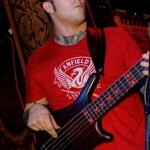 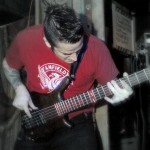 A self-taught bassist, Jeff draws influence from blues, jazz and “math metal” genres. 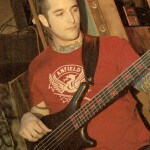 Jeff’s style of bass playing has fermented from years of blending old with new. 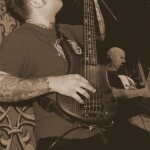 Ultimately, Jeff has perfected a technique that allows his bass to have a growl and snap sound that defines the custom tone he has come to be known for. 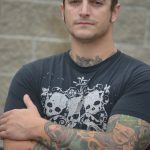 In his spare time, Jeff enjoys sharpening swords and reading The Silmarillion.